The audiobook addresses many of the challenges facing stock market investors and the ways many investors use the stock market to achieve their financial and investing goals. The audiobook teaches the principles of the author's "four pillars of stock market income" and effectively simplifies these concepts to help investors harness their power and potential. 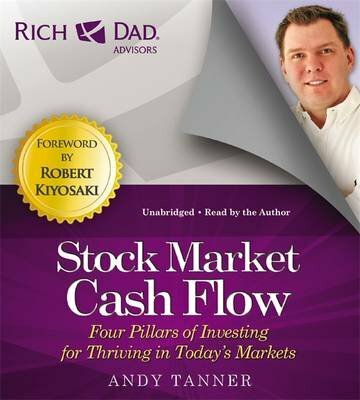 "Stock market Cash Flow "also includes valuable discussion on where paper assets fit (and don't fit) in the context of Rich Dad principles and its place among the other assets classes: real estate, business, and commodities. The audiobook concludes with individual action plans that support the goals of the individual investor.